Step back in time for a dose of vintage glamour with the Fabulous Boogie Boys swing band. 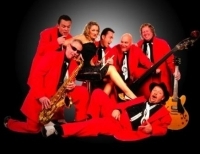 Dressed in stylish 1950s dinner attire, these highly talented musicians use period instruments to perform an authentic programme of popular hits from the 1930s to the present day. 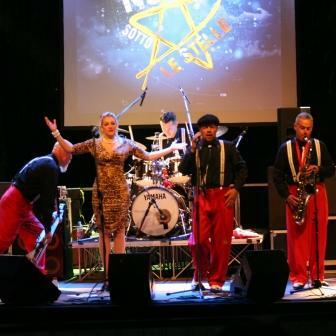 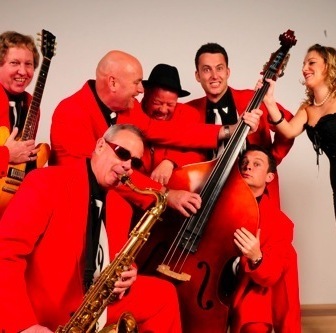 With a fabulous combination of boogie woogie, outrageous long red jackets and a huge amount of energy, the band have the perfect ingredients to deliver a unique stage experience for audiences of all ages.